Since 1986, we have been working to consistently add upgrades to our products with the feedback received. Your input has helped to make AMB the best choice for mortgage accounting businesses. The most exciting project currently under development is the development of the next generation of the AMB software. Code named “Sierra”, this version is completely browser based, meaning that it will run on desktops and tablets alike, Android or Apple, you choose the device you like best. Sierra is also “Back end” independent which means that you will be able to keep using the Oracle database or migrate to Microsoft’s SQL server if you prefer. 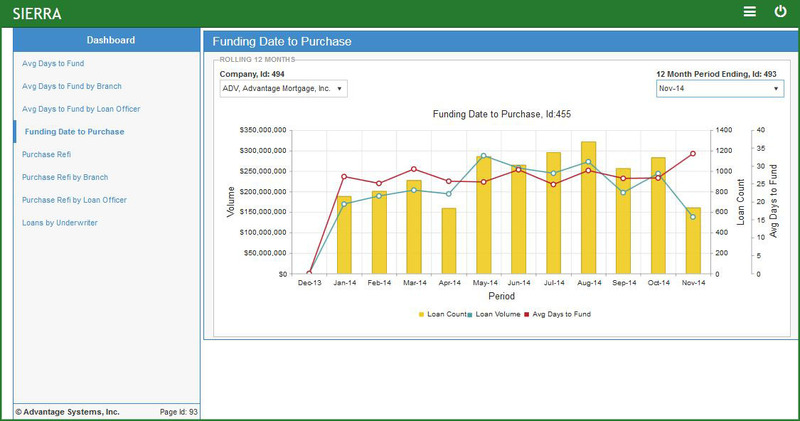 Our twenty plus years of experience in supplying Mortgage Bankers with the best accounting software in the industry will be carried over to this new product. The functionality, ease of use and reliability of the AMB software will continue on a platform that is being built to impress. AMB has always maintained valuable financial data that many clients have sought to access from third party Dash Board or Business Intelligence products. We are creating a Third Party Interface module that will move transaction data to an independent database that can then be queried without impacting AMB performance or the security of its data. The client server architecture of the AMB software did not lend itself to cloud computing. We’re moving functions that historically were processed on the user’s workstation to the server. The result will be a much improved cloud experience. Our popular Commission module is being enhanced to better manage Payroll “Draws” and the application of subsequent Commissions against those “Draws”. A recap showing the Beginning Draw balance, Draws added as well as the Commission earned and the commission Applied to that Draw balance will be available as part of the Commission reporting function. The contact management capabilities within the system are receiving a major overhaul. The new capability will allow you to create any number of contacts for a given vendor or customer. In so doing, you will be able to send the ACH Transfer Acknowledgement to more than one individual per company. You will also be able to assign functions to each contact such as who receives the “ACH Acknowledgement” or “Legal Notices” or “Accounts Receivable Statements”, etc. You can create as many functions as you wish. We have sped up the Account Summary Repaint function by orders of magnitude. Historically, we have kept detail transactions on file forever. The architecture of the system was designed to handle very large numbers of transactions while still providing excellent performance. The Account Summary table, as an example, stores summarized transaction activity on one record per account per month. With ten years of data on an account, the system would only need to look at 120 records to calculate an account balance. This was considered trivial even when we started the Windows version of the software. As the performance of computers and databases increased, the number of transactions on file became less of a technological issue. However, there is a legitimate belief that there isn’t much need for such old data and several clients have asked that we create the capability to purge historical transactions prior to some given date. Our approach will be to only purge those transactions that relate to loans that no longer comprise a balance on the balance sheet as of the requested date. While we have provided the capability to copy and reverse journal entries as well as multiple functions to import journal entries, the capability to define and record recurring journal entries has been something that has been constantly preempted for one feature or another. This will be the year it gets done. In the same way that recurring journal entries were put off, so were recurring payables. Our import capabilities provided an easy to use work around but the time has come to add this capability to the system. 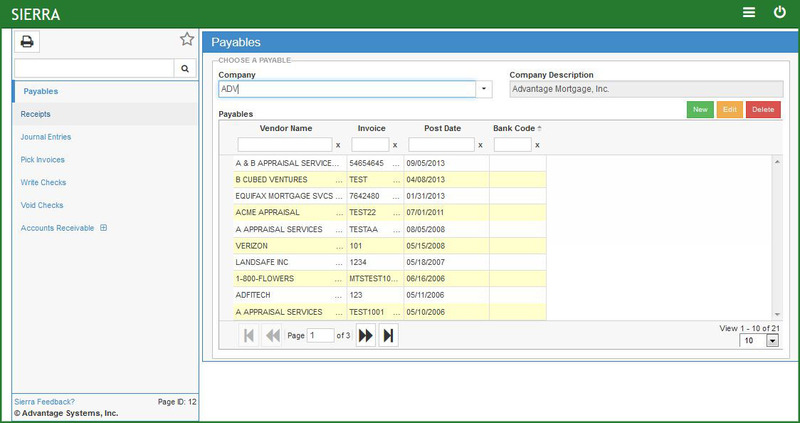 The Accounts Receivable invoice entry form has been enhanced to allow the user to select the invoice description from a list of saved descriptions. In many cases the invoice descriptions are similar. This feature will allow the user to quickly select a description rather than type the same one over and over again with each invoice. Enhance the Delete Unused GL Accounts function to allow the user to send the list of accounts suggested by the system to Excel. Enhance the reporting of changes made to vendor records by logging all such changes. Enhance the Invoice Status By Vendor report to allow the user to identify those invoices having a total amount greater than a value entered by the user. This enhances the existing capability to identify individual line item amounts greater than a specified value. Enhance the Cash Receipt by Date report to allow the user to identify those cash receipt entries greater than a value specified by the user. 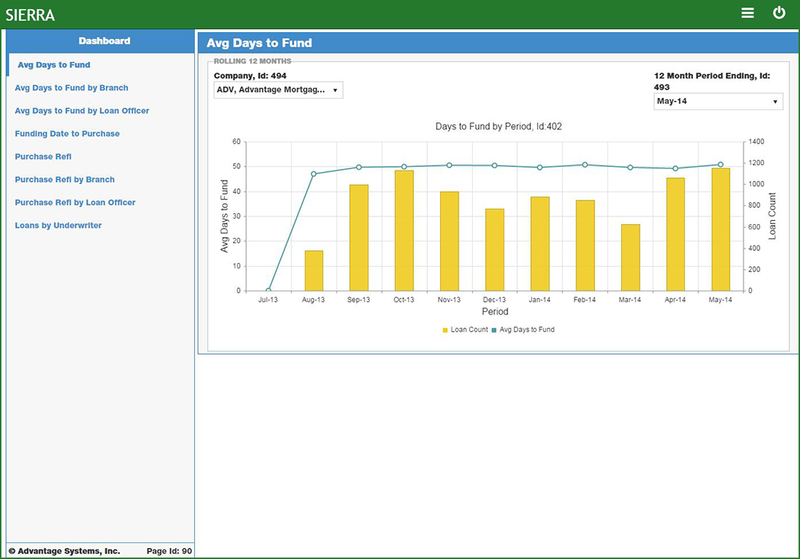 Enhance the Journal Entry by Date report to allow the use to identify those journal entries having at least one line item greater than a value specified by the user. Enhance the reporting of Archived (Edited, Deleted and Purged) transactions. 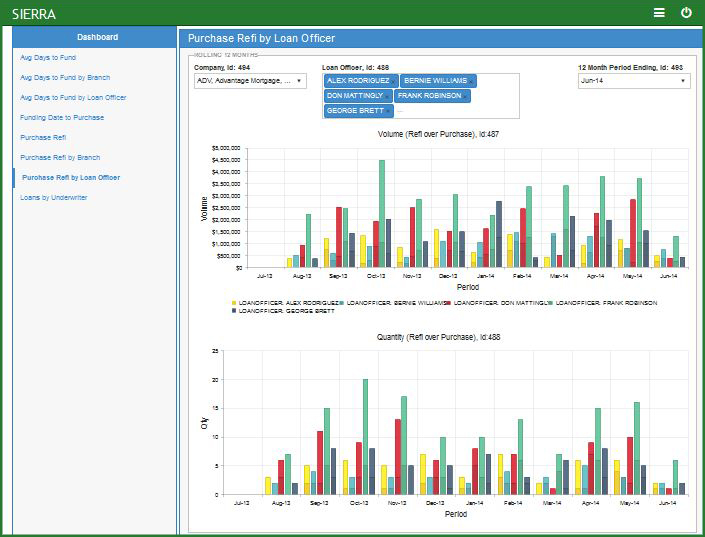 The Excel Reporting Tool (ERT) is an Add-in for Microsoft Excel, versions 2003 through 2013, which allows users to retrieve AMB’s Balance information for General Ledger accounts. ERT implements this functionality by adding new functions to Excel – functions which can be used just like any other built-in Excel functions. Account Ranges, templates for account inclusion or exclusion, and date ranges for the summations are the parameters used by the functions, and these parameters may be literal values, or references to worksheet cells. Values retrieved by the functions are updated when the worksheet is recalculated. Access to enterprise data is username/password controlled. Web Based Executive Reporting – builds on the existing Web Based Reporting module to offer the same on-line access to executives within the firm. 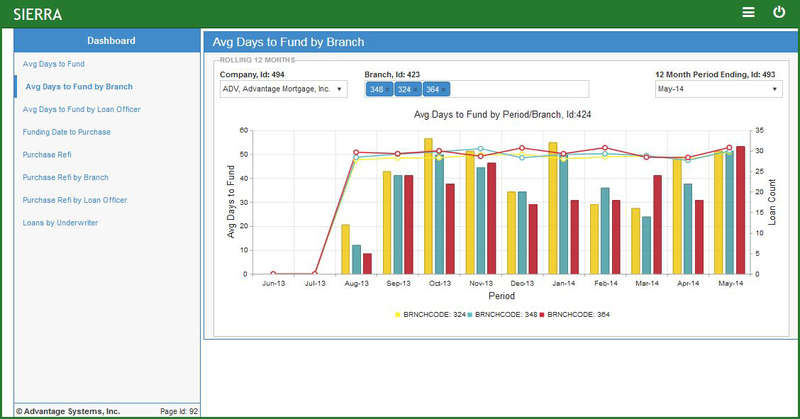 Unlike the Web Based Branch Reporting module, the Executive version is not limited by Branch and allows access to the Company’s Balance Sheet.